Akshay Kumar is sporting a buzz cut and stubble, which is not for any upcoming film, rather for the actor’s vacation look. Akki has completed shooting for ‘PadMan’, ‘2.0’ and ‘Gold’, taking a much deserved month-long break till the New Year. Showing off his salt and pepper look, Khiladi Kumar may take off to a mini vacation with wife Twinkle Khanna and kids Aarav and Nitara. Come January and he will plunge into the promotions of ‘PadMan’, which releases on January 26. 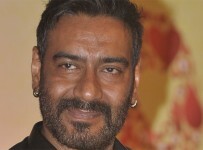 The actor will also start prepping for ‘Kesari’, another of his upcoming film.